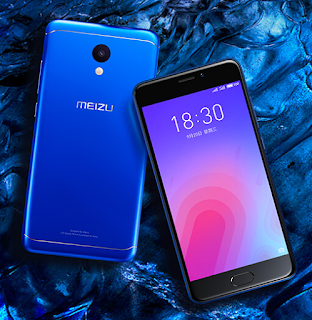 Meizu M6 has been officially launched. It's a 5.2 inches smartphone, featuring 4G LTE network, fingerprint sensor which is located at the front home button, runs on Android 7.0 Nougat out of the box and powered by MediaTek MT6750 chipset. Meizu M6 will be coming in two versions, 16GB internal memory + 2GB RAM and 32GB internal memory + 3GB RAM. There's also a 13MP rear camera with dual-LED flash and 8MP front facing camera. Recall last month, August 2017, Meizu launched the Meizu M6 Note which is the bigger version of the Meizu M6 in terms of screen size, battery capacity, camera, storage and processor. Have a look at the full specs of Meizu M6 as well as the price below. Price About 130 EUR / $155 USD / CNY 1,020 / INR 10,024 / NGN 56,000. Good phone with good RAM, But the battery capacity is low, it should at least be 4000mah. Nice device with good specifications and it is not expensive. Nice specifications but they need to improve in some parts. Good specs but just putting 4g bands is a scam. Is it the full bands? I doubt that.